Bishop Charles Yewurakow Agyinasare was born in Achiase, Ghana, on 22 March 1962, into a Catholic family. His parents were Staff Sergeants Andrews Asare and Elizabeth Arthur. He later changed his name to Agyinasare in 2011 following an Accra High Court decree. Agyinasare stayed in Accra and went through primary school at the Weija Barracks Primary, and the Armed Forces Experimental School . Agyinasare was a child prodigy, and gained admission into St. Martin’s Secondary School at the tender age of 11. There, he was overtaken by pressure from his colleagues who were much older than he and got caught up in what he calls “sin, revelry, alcoholism and drug addiction” and was a “women-chasing college freak”. He was later expelled from St. Martin’s. In his search for answers and having a thirst for the supernatural, Agyinasare practiced Nichiren Shoshu Buddhism for four years; subsequently fasted and prayed with Muslims in contemplation of converting to Islam. He later felt that none of these could satisfy him. In 1980, Agyinasare was invited to the Church of Pentecost, where, at the age of 18, he responded to an altar call and got saved. He then converted to Christianity and delivered was from a life of drug addiction and debauchery . In 1983 he quit his job and came into full time pastoral ministry. During that period, he absorbed himself in books of AW Tozer, Andrew Murray, Charles Finney, RA Torrey, as well as the biographies and autobiographies of modern day preachers. 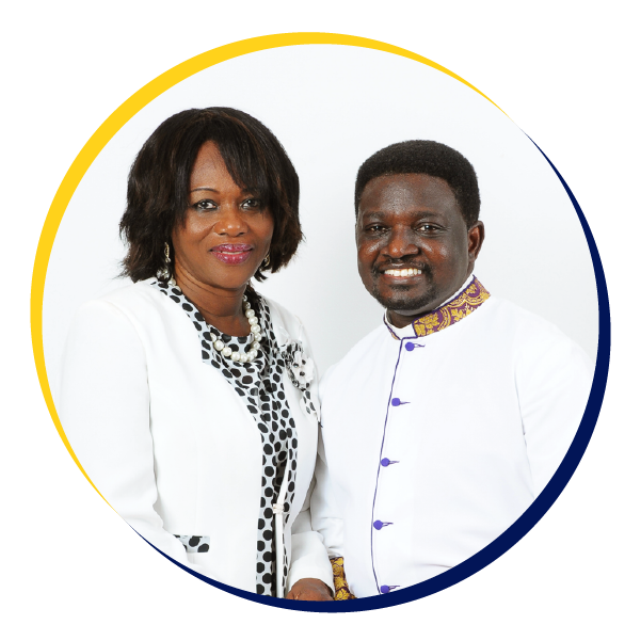 Bishop Charles Agyinasare and his wife. 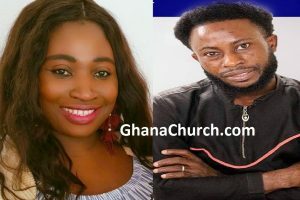 Agyinasare is married to Rev. Mrs. Vivian Agyinasare (m.1985), who currently serves as the International Women’s Director of the Perez Chapel International and Associate Churches Worldwide. They have three adult children, an adopted daughter: Dr. Selaise Agyinasare, Pastor Francis Agyinasare, Ms Charlene Agyinasare, Ms Clementina Quarshie. Agyinasare started the Teshie Praise Assembly in 1983, which he gave out when he started going round holding crusades. He had an encounter in a Morris Cerullo School of Ministry in Accra Technical Training Center (ATTC), where he heard the voice of God say to him, “My boy Charles, I send you out as I sent Moses; go, and I will put My word on your lips, and reach the world for Me.” After the meeting he sought for a place to fast and pray; and on the third day he heard the same voice again, “My boy Charles, I give unto you power over demons and principalities, heal the sick, raise the dead and preach the kingdom.” He therefore broke his fast and began to hold Brother Charles Gospel Crusades, which attracted thousands with undeniable proofs of the Holy Ghost. The following year, Agyinasare was ordained as a missionary by Brother Enoch Agbozo (Founder of the Ghana Evangelical Society, Accra). In 1986, as his congregation increased, he decided to go study crusade planning at the All Nations For Christ Bible Institute under the leadership of Benson Idahosa in Benin City, Nigeria(5) . While in Nigeria, he was privileged to speak for Rev. David Oyedepo (now Bishop) in Kaduna and was ordained an Apostle by him. In 1987, Agyinasare started a church, World Miracle Bible Church was later renamed Word Miracle Church International (now Perez Chapel International) in Tamale, the Northern Region of Ghana. He moved to Accra in 1994 (CFC Building – Nkrumah Circle) where his meetings were characterised by mighty signs and wonders including stopping the rain . In what he calls “the Great Move”, the governing body of church bought and relocated their place of worship to the former Meat Marketing Board Head Office (now Perez Dome, Dzorwulu) in March 1998 From an initial Sunday morning membership of seventy adults in October 1994, the church has grown phenomenally to several thousands of people with over 50 branches currently in Accra and hundreds of affiliates worldwide. On a weekly basis, the Perez Dome, which is a 14,000-seater auditorium, welcomes thousands of people weekly and is currently regarded as the largest auditorium in Ghana. The President of Ghana, His Excellency John Dramani Mahama, on a visit described the place of worship as “one of the Seven Wonders of Ghana” . With a doctorate in theology and a Bible teacher, Agyinasare has planted churches worldwide and served as a missionary with a passion to win souls for Christ. Bishop Agyinasare, as he is popularly known, has been involved in world evangelism for over three decades and has preached in about 84 nations including the United States, Canada, the United Kingdom, Holland, Germany, Switzerland, France, Italy, Ukraine, Israel, Brazil, India, the Islamic Republic of Pakistan, the Islamic Kingdom of Bahrain, Japan and many countries in Africa. He holds crusades in some of the most dangerous parts of the world , where he has recorded over 300,000 people in a single night in some of them. In recognition of his distinguished service to humanity, he has been awarded two honorary doctorate Degrees in Divinity and Humanity from reputable Universities in Europe and India respectively. In 1991, Agyinasare was awarded Honorary Doctor of Divinity from London’s Shiloh Ecclesiastical Bible College, by Archbishop Malachi Ramsey at Living Springs-Chapel International, UK. He also holds a Doctor of Philosophy Degree in Theology from Vision International University, USA. In 2015, Agyinasare was awarded The Global Leadership Award from Regent University, USA by Professor Clifton Clarke in recognition of his efforts in raising leaders across the world and for his impact across the globe. He has been given declarations from the Senate of Texas and is also an honorary citizen of Houston, in May 1999. Agyinasare has fellowshipped, counselled and prayed for presidents, both nationally and internationally. These include His Excellency Jerry John Rawlings, His Excellency John Dramani Mahama (Ghana), His Excellency John Evans Atta Mills (late), His Excellency John Agyekum Kufour (Ghana), President Laurent Gbagbo (Ivory Coast), President Faure Gnassingbé (Togo) and H.E Kofi Annan, former UN Secretary General.